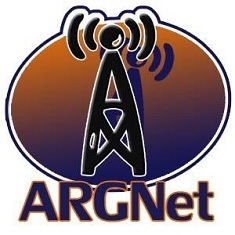 As the wheels of the small commuter plane touched down on the tarmac of San Francisco International Airport, the rush of excitement I felt having arrived for ARGFest-O-Con 2007 was almost overwhelming. It had been less than two years since I had attended the large-scale conference dedicated to alternate reality gaming – the 2005 event in New York City was my first ARGFest – but the anticipation for this event had me giddy as a schoolgirl. As I navigated through the weaving maze of gates and security checkpoints, I knew that in less than an hour, I would be meeting up with people from around the globe, some of which I had seen in late 2005 at the Last Call Poker finale, and some that I had never even had the chance to talk to in the online chat rooms that dot the ARG community landscape. I had the benefit of arriving in San Francisco within minutes of Unfiction owner Sean Stacey and 42 Entertainment’s Elan Lee. After some careful coordination, we were able to share a cab to the convention’s home, the Holiday Inn Fisherman’s Wharf in northern San Fran. We began to talk, and it was obvious that despite a bit of fatigue, the other two were just as excited about the conference as I was. We chatted as though we had seen each other only days earlier, and as we traversed the streets leading to the hotel, fifteen minutes elapsed before Elan finally said, “Hey, San Francisco is really pretty.” We hadn’t even looked out the window of the cab, too busy talking with each other. The rest of the evening went by much faster than I would have liked. Arriving at the hotel to see old friends and meet those I had previously talked with online, events quickly led to a wonderful Chinese meal, a regrettable absence from the Cruel 2 B Kind game that over 50 teams enjoyed, and a number of beverages at the hotel lounge. It was great to see people I write with on this site, people like Jackie Kerr and Marie Lamb, people who I had never met with in a real-world setting previously. Smiling faces and loud, raucous cheers littered the gathering place, and the festival moved forward, full tilt. Early Saturday morning, hotel mates Will Bagby, Dave Tenenbaum and I found ourselves unexpectedly awake at six o’clock. Shaking out the cobwebs that normally follow an eventful, beverage-laden evening, I met with Rose and the rest of the organizing crew. A rush of lanyards, swag and registration materials made their way up to the conference room area, as people mingled and ate breakfast. At 8:45, Sean Stacey and I began our introduction, marking the official start to the day. This year’s panels were, without question, amazing. Whether it was a discussion on the creation and implementation of an alternate reality game, or a dissection of the issues concerning the playability of ARGs, the presenters were poignant, intelligent and entertaining beyond measure. One of the highlights was hearing the 42 Entertainment panel talk about the synergy they have as a team, and the love for the players that they all own and cherish. Another was listening to the lonelygirl15 creators, as well as the OpAphid puppetmaster, as they described their journeys toward Internet superstardom. This year was my first experience with the FestQuest, a scavenger hunt that led us through the streets and attractions of San Francisco. I joined up with Team Green, and we moved through the city almost effortlessly. We ended up finishing the quest in the fastest time, which meant little more in the non-competitive environment than simple bragging rights for the night. The quest led to a terrific dinner, which led to a few more interesting conversations and a lot more loud outbursts of laughter. At ten o’clock on Saturday evening, we did our ARG Netcast. We had what must have been 60 people in room 240 of the hotel, and it was an incredible demonstration of just how tight our community is. After an hour of brilliant discussion and a few more chuckles, groups broke off and did their own thing. Some stayed in the room to Wii-bowl and sing karaoke, while others moved to more quiet locations for drinks. I went with a motley crew to an Indian restaurant which shared a building with an Irish pub, and as I sat down I realized just how lucky I was to be in San Fran for these festivities. Beside me was Steve Peters, a friend and a mentor since 2001 who is now working for 42 Entertainment. Across from him sat Rose, the best damn ARGFest organizer of all time, and Dave Szulborski, who deserves a lot more credit than he usually gets for his work in alternate reality gaming. At my table sat two fellow Canadians — TorGame’s Lindsay Mills, a brilliant and talented puzzle creator, and Geoff May, famous for his detailed wikis and organization skills. And somewhere in the mix, although never in the same place for too long, was Stitch Media’s Evan Jones, who I have admired for his work on the ReGenesis ARGs and who I have built a good friendship with. Now, these people may not mean anything to you, but they should, as they are a few of the many movers and shakers who make alternate reality gaming what it is today. These are just a handful of the hundreds of community members who are dedicated to the cause of pushing the boundaries of ARG while remembering to celebrate and give credit to past ARG projects. I realized shortly after sitting and listening to these people that it was indeed an honor to be sitting with such wonderful representatives of the community. As the night drew into the early morning, and with plans for a Grand Slam breakfast at Denny’s requiring an early wake-up call, I reluctantly gave in to fatigue and made my way back to the hotel. It was bittersweet to know that in a few short hours, I would be leaving everything behind and relying only on my memories (and the thousands of digital pictures others had taken and shared during the event) of this unique event. The trip wasn’t what I’d consider a once-in-a-lifetime opportunity, because I don’t want to think that this past weekend was the last time I’ll be attending an ARGFest event. However, I find solace in the fact that if this was my last, it was certainly worth the time, effort and cost of attending. It’s certainly difficult to think of little else as I write this, airborne and on my way back to the frozen tundra that is Manitoba. The feelings and emotions that swept through me throughout the weekend are still fresh, and rather than feeling sorry for the fact that the event is now in the past, I feel refreshed and rejuvenated by the fact that those memories are now a permanent part of me, which is something I hope the other attendees are also feeling. This one goes out to them, but also to those who could not attend, in the hope that someday they will have a similar experience with equally great people. P.S. Don’t be insulted if I failed to mention you by name here. I appreciated meeting each and every person I did.